Slags are produced as a by-product of metal smelting and the stainless steel manufacturing industry. 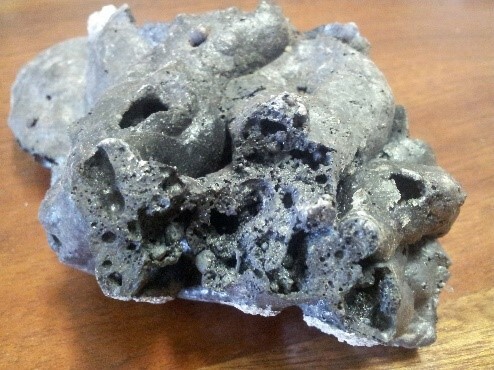 Slags from a smelter typically have unique physical, chemical and mineral properties. Due to the large and fairly consistent quantities produced from a single locality, there is a growing market for using slags in downstream processing industries. Slag compositions are dependent on a number of factors, including feed materials, furnace type, additives and temperature. Slags are formed in all metal smelting processes, including base metals (aluminium, copper, nickel, manganese, iron, zinc, tin etc), precious metals (gold, platinum and platinum-group, silver), as well as more exotic metals (chromium, titanium, cobalt, rhodium, ruthenium). We aim to provide the best possible testing services and R&D support from group of specialist scientists! Contact us to discuss your slag testing requirements, whether it is for waste classification, SDS, import/export or to determine its potential use in new emerging markets.